26. How can I declare methods within my JSP page? We can declare methods by using JSP declarative tag. 27. What is the difference b/w variable declared inside a declaration and variable declared in scriplet ? Variable declared inside declaration part is treated as a instance variable and will be placed directly at class level in the generated servlet. Variable declared in a scriptlet will be placed inside _jspService() method of generated servlet.It acts as local variable. 28.What are the three kinds of comments in JSP and what's the difference between them? This is also known as hidden comment and it is visible only in the JSP and in rest of phases of JSP life cycle it is not visible. This is also known as template text comment or output comment. 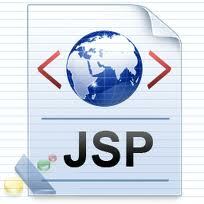 It is visible in all phases of JSP including source code of generated response. With in the script lets we can use even java comments . This type of comments also known as scripting comments and these are visible in the generated servlet also. 29. What is output comment? The comment which is visible in the source of the response is called output comment. 30. What is a Hidden Comment? This is also known as JSP comment and it is visible only in the JSP and in rest of phases of JSP life cycle it is not visible. 31. How is scripting disabled? 32. What are the JSP implicit objects? Implicit objects are by default available to the JSP. Being JSP author we can use these and not required to create it explicitly. 33. How does JSP handle run-time exceptions? <%@ page errorPage="error.jsp" %> redirects the browser to the JSP page error.jsp if an uncaught exception is encountered during request processing. In the error pages we can access exception implicit object. 34. How can I implement a thread-safe JSP page? What are the advantages and Disadvantages of using it? You can make your JSPs thread-safe by having them implement the SingleThreadModel interface. This is done by adding the directive in the JSP. The generated servlet can handle only one client request at time so that we can make JSP as thread safe. We can overcome data inconsistency problems by this approach. The main limitation is it may affect the performance of the system. 35. What is the difference between ServletContext and PageContext? ServletContext: Gives the information about the container and it represents an application. PageContext: Gives the information about the Request and it can provide all other implicit JSP objects . 36 . Is there a way to reference the "this" variable within a JSP page? Yes, there is. The page implicit object is equivalent to "this", and returns a reference to the generated servlet. 37 . Can you make use of a ServletOutputStream object from within a JSP page? Yes . By using getOutputStream() method on response implicit object we can get it. 38 .What is the page directive is used to prevent a JSP page from automatically creating a session? session object is by default available to the JSP. We can make it unavailable by using page directive as follows. 39. What's a better approach for enabling thread-safe servlets and JSPs? SingleThreadModel Interface or Synchronization? Synchronized keyword is recommended to use to get thread-safety. 40. What are various attributes Of Page Directive ? Page directive contains the following 13 attributes. 41 . Explain about autoflush? This command is used to autoflush the contents. If a value of true is used it indicates to flush the buffer whenever it is full. In case of false it indicates that an exception should be thrown whenever the buffer is full. If you are trying to access the page at the time of conversion of a JSP into servlet will result in error. 42. How do you restrict page errors display in the JSP page? You first set "errorPage" attribute of PAGE directive to the name of the error page (ie errorPage="error.jsp")in your jsp page . Then in the error.jsp page set "isErrorpage=TRUE". When an error occur in your jsp page, then the control will be automatically forward to error page. 43. What are the different scopes available fos JSPs ? There are four types of scopes are allowed in the JSP. 2. request - after forward or include also you will get the request scope data. 3. session - after senRedirect also you will get the session scope data. All data stored in session is available to end user till session closed or browser closed. 4. application - Data will be available throughout the application. One user can store data in application scope and other can get the data from application scope. 44. when do use application scope? If we want to make our data available to the entire application then we have to use application scope. 45. What are the different scope valiues for the <jsp:useBean>? 46. How do I use a scriptlet to initialize a newly instantiated bean? jsp:useBean action may optionally have a body. If the body is specified, its contents will be automatically invoked when the specified bean is instantiated. Typically, the body will contain scriptlets or jsp:setProperty tags to initialize the newly instantiated bean, although you are not restricted to using those alone. 47 . Can a JSP page instantiate a serialized bean? A couple of important points to note. Although you would have to name your serialized file "filename.ser", you only indicate "filename" as the value for the beanName attribute. Also, you will have to place your serialized file within the WEB-INF/jspbeans directory for it to be located by the JSP engine. 48.How do we include static files within a jsp page ? The content of the header.jsp will be included in the current jsp at translation time. Hence this inclusion is also known as static include. 49.In JSPs how many ways are possible to perform inclusion? In JSP, we can perform inclusion in the following ways. The response of the jsp will be included in the current page response at request processing time(run time) hence it is also known as dynamic include. This inclusion also happened at request processing time(run time). 50.In which situation we can use static include and dynamic include in JSPs ? If the target resource ( included resource) won’t change frequently, then it is recommended to use static include. If the target resource(Included page) will change frequently , then it is recommended to use dynamic include. 51. What is a Expression? JSP Expression can be used to print expression to the JSP.